There are so many reasons our western society is in frantic decline, but none is more acute and serious than our contempt for morals and natural justice, which are two of the three main pillars of Christian life, along with love of God and neighbour. As a result of this process we have seen an almost irrational increase in relativism; which is causing the notion of right and wrong to almost disappear from our so called developed societies, as most people now seem to believe that these concepts belong to the realm of personal opinion. In other words, what once used to be evil is now good and nobody cares… After all, everybody is entitled to have an opinion. This phenomenon has lead some once God-fearing nations to almost forget and, in some cases, even deny their Christian identity. I found the article below to be consonant with many of the things I believe and thought I should share it with the followers of my blog. I hope you will enjoy it too; Via Catholicism Pure and Simple: Good times for dogs, not so good for babies. A Reflection on the Perversity of Modern Culture. Can the Saints intercede for us if Christ is the only Mediator? Before addressing the issue of the intercession of the Saints we need clarify that the Catholic Church, although many protestants believe otherwise, does teach and has always taught that Christ is the only mediator. 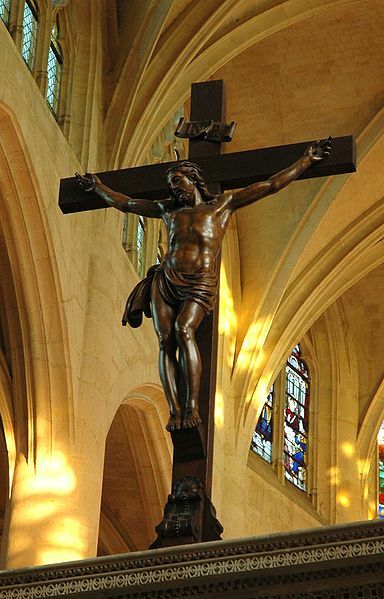 “The one mediator, Christ, established and ever sustains here on earth his holy Church, the community of faith, hope, and charity, as a visible organization through which he communicates truth and grace to all men.” (citing another official Catholic document from Vatican II, Lumen gentium, 8 § 1.). “If anyone asserts that this sin of Adam, which in its origin is one, and by propagation, not by imitation, transfused into all, which is in each one as something that is his own, is taken away either by the forces of human nature or by a remedy other than the merit of the one mediator, our Lord Jesus Christ . . . let him be anathema.” (Session V, 3). However, for the sake of discussion and reflection, I propose that we ask a question that is pertinent to all Christians: If Christ is the only Mediator, why do we intercede for one another? Catholics do not argue with either of the facts stated above; these are Scriptural Truths. However, the Church reads the Scriptures as a whole and interprets them as ONE book. Jesus is the Eternal High Priest and the Church, as members of His Body, shares in that priesthood. This is why St Peter, in a clear reference to the Old Testament Priesthood – where priests were intercessors between God and men – could declare that we are built up a holy priesthood (1 Peter 2:5 and 2:9), as we are joined to Him as members of His Body. The book of Revelation 1:6 says that we “are a kingdom, priests to his God and Father“. As the Mediator, Jesus is not alone, He is the head of the Church in which all members can intercede for one another through Him. This is the notion of Totus Christus, a Biblical Theology of the Whole Christ which is confirmed in the Scriptural account of Paul’s conversion in Acts 9:4, where Jesus asks Paul, then Saul: “Saul, Saul, why are you persecuting me?” and not “Why are you persecuting my followers?” – His Church. What about the deceased Saints? We’ve seen that the living members of the Church can indeed pray for one another, but how can we explain the intercession of the Saints? The Catholic Church teaches about the Communion of the Saints, that is, the entire Church is One in Christ. The deceased members of the Body of Christ are not separated from Christ once they leave their physical bodies, because “if Christ is in you, although the body is dead because of sin, the Spirit is life because of righteousness” (Rom 8:10). As St Paul states it “neither death nor life […] will be able to separate us from the love of God in Christ Jesus our Lord.” (Rom 8: 38-39). Therefore, the souls of the Saints departed never cease to be part of His Body, they are part of the Church in Heaven, the Church Triumphant. 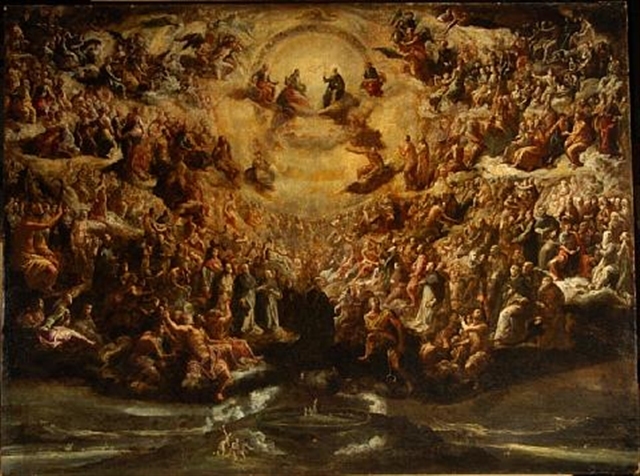 For more on the Saints read: Why do Catholics pray to Saints? Has some-one finally got it right? Protestants say Catholics follow man-made traditions. Is it true? No, it is not true. Protestants have as their sole rule of faith the written Word of God, which we find in Sacred Scripture. The Catholic Church has as its sole rule of faith, the entire Word of God, as it is found in Sacred Scripture and Sacred Tradition. 2 Thes 2:15, “So then, brethren, stand firm and hold to the traditions which you were taught by us, either by word of mouth or by letter.” Traditions! Traditions taught by word of mouth, in other words, oral tradition, and traditions taught by letter. Traditions which they are being told to “stand firm and hold to”. Sacred Scripture and Tradition do not contradict themselves, but complement each other. 2 Tim 2:2: “and what you have heard from me before many witnesses entrust to faithful men who will be able to teach others also.” What we have here in 2 Timothy is an instance, in Scripture, of Paul commanding the passing on of oral tradition. In other words, the Bible clearly supports the Catholic Church’s teaching that the Word of God is contained in both Sacred Scripture and Sacred Tradition. According to Wikipedia the “Once Saved, Always Saved”, is a Christian teaching which holds that once a person is saved they can never lose their salvation. This notion was formulated by Calvin in the 1600’s and is shared by most Evangelical and reformed Protestant churches, such as the Church of England, as it is stated in the Westminster Confession of faith. However, there are some variations of the original doctrine of Calvin – no surprise here, protestants must do what they do best: Protest. Those who didn’t entirely agree with Calvin felt they needed to make changes… I believe the Baptist Church holds a non-Calvinistic OSAS doctrine. Anyhow, Calvin sustained that a true believer can never lose his/her salvation. His doctrine argues that although individuals are free and responsible, they cannot choose salvation of their own accord. Rather, God selected certain individuals before the world began to whom he would draw to faith. According to Calvinism, since faith is not something they choose to do, but rather a work that God performs in them, it cannot be walked away from. Note that this Calvinist notion also denies the gift of Free Will. There are two main problems with this approach. Most protestants like to think of salvation as a one-time event, not an ongoing process. Also it is tremendously common for Evangelicals to assert on isolated passages without the back-drop of the whole context of the Bible. In the case of John 10:28, which has a similar language to Romans 8:39, Jesus is telling us that no-one can take a person’s salvation away, but He is not saying that an individual can’t refuse the free-gift of salvation offered by God, through his own rejection or refusal to lead a life pleasing to God. In other words, one cannot be snatched away, but one can walk away. It all comes down to free will, which Calvin seems to ignore in his doctrinal formulation. Matthew 7: 21-23. Not every one that saith to me, Lord, Lord, shall enter into the kingdom of heaven, but the one who shall do the will of my Father who is in heaven. Many will say to me in that day, Lord, Lord, have we not prophesied in thy name, and in thy name have cast out devils, and in thy name have done many wonderful works? And then will I confess to them, I never knew you depart from me, you who work iniquity. Matthew 24:13 – But he that shall endure unto the end, the same shall be saved. Heb 6:4-6 For it is impossible for those who were once enlightened, and have tasted the heavenly gift, and have become partakers of the Holy Spirit, and have tasted the good word of God and the powers of the age to come, if they fall away, to renew them again to repentance, since they crucify again for themselves the Son of God, and put Him to an open shame. Jas 5:19-20 Brethren, if anyone among you wanders from the truth, and someone turns him back, let him know that he who turns a sinner from the error of his way will save a soul from death and cover a multitude of sins. But what is the Catholic view on Salvation? Read more on the Catholic Doctrine of Salvation.